When it comes to keeping your garden tidy, one area that demands a lot of attention is the lawn. 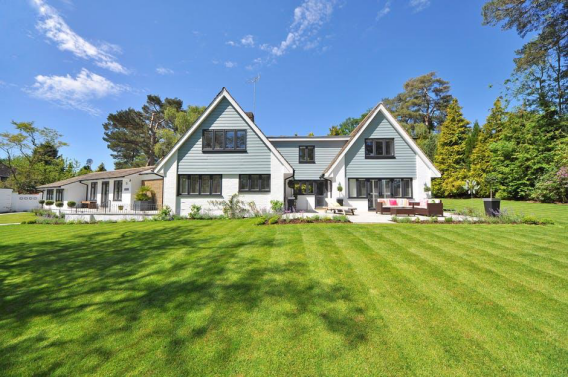 A neatly tended lawn is a thing of wonder, a great centrepiece to your outdoor space, and while grass is relatively low-maintenance it can require some tending. There are many things you can do to help keep your lawn looking fresh and tidy, so let’s have a look at few sensible and helpful tips. Tidy up after Winter – we all leave our lawns during the winter months, in which the grass does not grow. Yet, what happens is the lawn may become strewn with leaves and other debris, brought down by the winter weather and the winds. Spring is the time to clear up across your lawn, just as the leaves are coming back on the trees, so get out there and clear it all away, ready for the lawn to grow lush and green again. Mow Regularly – there is nothing better for a lawn than to give it a good mowing, but for some people it can be a chore. This is especially the case for those with bigger areas of lawn, or with grass that grows very quickly. In the summer, grass needs cutting very regularly as it grows fast, so you need a good mower. To get an idea of the most efficient method of mowing a lawn you should check out these 20 lawnmowers recommended by Ram Research. These are ride-on mowers, and yet you will find that they are not as expensive as you might believe, and they do make the job a lot easier – in fact, it could even be called fun! Keep It Watered – if you live in an area where you get plenty of sun and little rain, you need to keep your lawn watered. Grass will die and turn brown very quickly if it does not get enough water, and the rainfall may not be sufficient. It is well worth investing in a sprinkler system to attach to a hose – they are not expensive and you’ll find them at any hardware or garden supplies store – as you can then leave the grass to be watered sufficiently. Remember, a good lawn needs a lot of water, so keep it fed. Avoid if Wet – one sensible piece of advice is to avoid your lawn after heavy rainfall. There is no doubt that the soil underneath will be very wet, and walking on it can cause permanent damage. Leave the lawn to drain before venturing out onto it after rainfall, and also after watering. These are just a few ideas as to how you should go about keeping your lawn looking beautiful, bright and green, and there are many more. We strongly recommend you check out the ride-on mowers for the best and easiest results, so have a read through, and you may get your own ideas. Make sure you enjoy your lawn when you can, and it will be the envy of your friends.